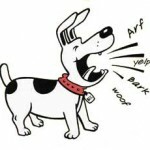 Home » Planning » Dog Proof Fences: Is an Underground Invisible Fence Right for You? 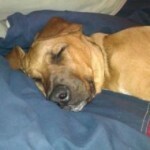 One of the most important aspects of dog ownership is keeping your pet safely contained in your yard. Many breeds are known escape artists, capable of digging under, climbing over, of wriggling through fences. Whether your dog is large or small, you may be struggling with keeping your dog confined on your property. Here, the dog proof underground invisible fence will be discussed, as well as the considerations that pet owners should make before installing an underground invisible fence. 1 What is an Underground Invisible Fence? 2 What are the Advantages of Dog Proof Fences? 3 What are the Disadvantages of Dog Proof Fencing? 4 Are Underground Invisible Fences truly Dog Proof? What is an Underground Invisible Fence? An underground invisible fence overcomes the many problems of traditional fencing while still enabling dog owners to contain their pets. Invisible fences consist of a wire that is buried underground and emits a radio frequency when activated. This radio frequency is detected by a receiver that is worn on a dog’s collar. 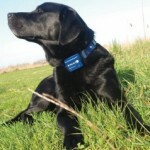 When the dog comes within a certain range of the invisible fence, the collar emits a beeping sound or a warning vibration. If the dog continues to move closer to the invisible boundary, the dog receives a harmless electric shock. What are the Advantages of Dog Proof Fences? Underground fencing is less expensive than the installation of a traditional fence, particularly if you have a lot of property. To contain most medium and large sized dogs, a 6 foot privacy fence is required. If your dog digs under fences, you must also place the boards deep into the ground, which increases labor and material costs. For a privacy fence that covers an average-sized yard, pet owners must spend upwards of $2,000. In contrast, invisible fences can cost less than $300 for a standard kit. Even if traditional fencing is within your budget, there is no doubt that fences change the look of your property. Privacy fencing can make a large yard feel small, and keeps home owners from enjoying the natural beauty of tree-lined lots. In certain regions, fencing can even lower property values. With an underground fence, dog owners have the best of both worlds, with the ability to contain a pet while maintaining the yard’s natural beauty. Electronic dog proof fences are extremely easy to use. Once the fence has been installed, power to the fence must be maintained (today’s fences are water and lightning proof) and the dog must wear the receiver collar whenever he or she is outdoors. Minimal training is required, and most dogs can be trained to respect fence boundaries within 2 weeks. Additionally, invisible fencing will contain an unlimited number of dogs, so long as each animal is wearing a compatible receiver. 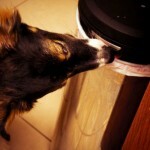 This feature is perfect for owners of multiple pets, especially ones that vary in size. Perhaps the best advantage of an underground fence is that it is virtually escape proof. When properly trained, a dog will respect the boundaries of the fence. There is no way for the dog to climb over or dig under an invisible fence, and many brands utilize progressive correction that provides multiple levels of stimulation to deter a dog from standing near the fence boundary for too long. 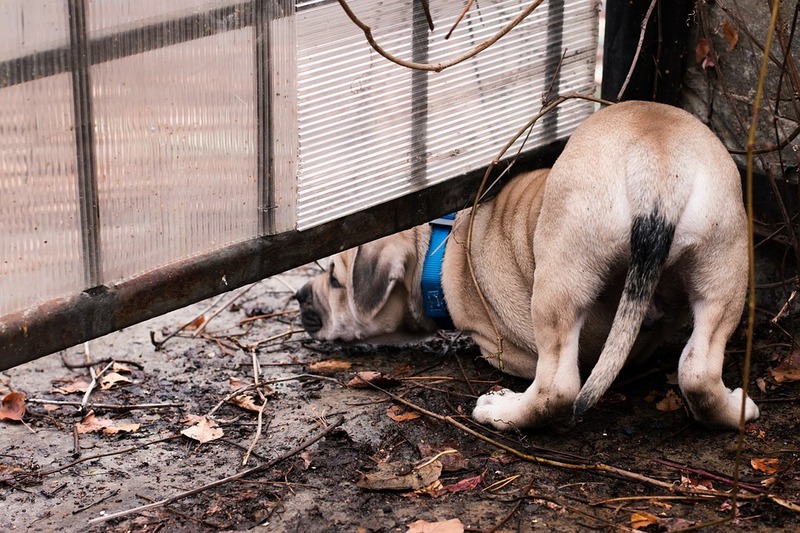 For owners of escape artist dogs, an underground invisible fence solves many problems. What are the Disadvantages of Dog Proof Fencing? Of course, no fencing solution is perfect, and there are bound to be disadvantages of any option that a pet owner chooses. The following are a few disadvantages that are common with in-ground fencing. Unlike barrier style fencing, a dog must be properly trained before he or she can be trusted in the yard alone. Depending on how familiar your dog is with electronic stimulation, and how quickly your dog learns, training can take anywhere from 1 – 4 weeks. However, once a dog is properly trained, pet owners have peace of mind. 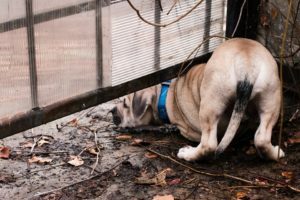 Perhaps the biggest disadvantage of an underground fence is that, while it prevents your dog from leaving the yard, it does not prevent other people or animals from entering your yard. If you plan to leave your pet unattended, you should be aware of reports of animals – such as coyotes – entering yards with electronic fences and carrying off small animals. If your dog is a rare, expensive, or bully breed, the chances of dog theft are also increased versus traditional fencing. Invisible underground fencing utilizes electronic stimulation to deter a dog from crossing the invisible barrier. For some dogs, this type of correction may not be suitable. Always check with the manufacturer the size of dog for which this product is rated. Some products should not be used on dogs that weigh less than 10 lbs. For certain dogs, the highest level of correction may not be enough to deter them, due to a stubborn nature. For instance, if your dog has a strong prey drive and will stop at nothing to chase a rabbit, you should first determine whether your pet responds to electronic stimulation when chasing prey. For other pets, electronic stimulation may not be appropriate due to a preexisting medical condition. For these pets, always ask your veterinarian before training a dog with electronic stimulation. Are Underground Invisible Fences truly Dog Proof? Ultimately, an invisible fence is dog proof so long as three conditions are met: no person or animal enters the yard and tries to remove the dog from the boundaries; the dog is properly trained to respect the yard boundaries; the dog is not too stubborn to respond appropriately to electronic stimulation. Otherwise, electronic fencing is ideal for animals that are prone to digging under fences, climbing over fences, or jumping over traditional fencing solutions. If an underground invisible fence is not a good fit for you, there are numerous alternatives that can be used with dogs that escape yards. It is difficult for a dog to dig under a fence, climb over the fence, or jump the fence if he or she is unable to access the fence. Homeowners can plant dense shrubbery along the fence line to discourage escape behavior in pets. If your dog attempts to escape your yard because he or she has seen a person or animal on the other side worth pursuing, make changes to your fencing structure. For instance, if you have a chain link fence you can place bamboo or plastic slats through the chain link to remove your dog’s ability to see what is on the other side. Are you at your wits end trying to keep your dog from digging under the fence? An L-Footer can be installed at the base of your fence, which inhibits the dog from digging beneath the structure by creating an “L” shape towards the yard. More information on this surprisingly simple solution can be found here. Finally, coyote roller fencing is primarily used to keep coyotes out of fenced areas, but can also be used to keep your dog contained. The top of the fence has a roll bar (which can be made at home out of PVC pipe if you enjoy DIY projects), inhibiting a climbing dog from being able to climb over the fence, thereby making your yard escape proof!